The New World chain of supermarkets has teamed up with a panel of experts to crown the best beers and ciders in New Zealand. The first ever New World Beer & Cider Awards has crowned winners across a range of 14 different classes, including best pale ale, specialty ale, pilsner, New Zealand lager, ale, IPA & APA, international lager, specialty lager, wheat beer, stout & porter, fruit beer, lower strength beer, and two cider categories. More than 350 beers and ciders across 56 breweries were appraised by a panel of 14 judges, that included Kiwi craft beer brewers, beer writers and general beer experts. 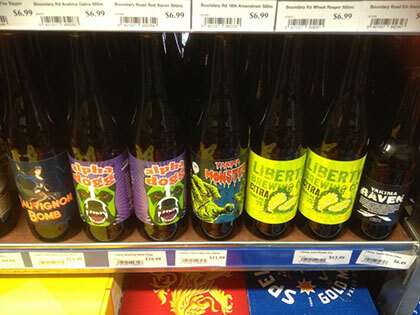 To be eligible for an award, beers and ciders had to be available in New World supermarkets in New Zealand. The judges said Epic Pale Ale pours a burnished gold with a nose of grapefruit, orange and ginger. It’s smooth, full-bodied and packed with flavour. Another Auckland craft brewery, Liberty Brewing’s Yakima Monster isn’t shy on hops. The judges described this award-winning beer as “boisterous” with a fresh nose of citrus and pine. Stonecutter Scotch Ale is “one of the most complex and beguiling New Zealand beers ever brewed”. How’s that for an enticing proposition? The best red India Pale Ale in New Zealand boasts notes of caramel and sherbet, plus an aroma of pine and orange peel. This might be a controversial choice. However, the New World judges ranked Steinlager Classic above all other New Zealand lagers. Thailand’s Singha beer is very drinkable, according to the judges in the New World Beer & Cider Awards. It tastes stronger than your average lager, with a firm bitterness. The judges said this “brilliant impersonation” of the classic Czech Pilsner “looks delicious from the first drop”. Fortunately, it also tastes delicious. Lager but not as you know it: Munchner Dunkel pours a red-brown colour with an off-white head, and its nose showcases milk chocolate and fresh baked cookies. Interesting. According to the judges, Mac’s Great White wheat beer is the perfect beer for those discerning beer drinkers who do not like their beers to taste too hoppy. Real bluff oysters are used in the making of Three Boys Oyster Stout – hence the name and this beer’s slight salty taste. But it bust taste good, because this dark beer is supposedly the best stout in NZ. The experts describe this beer as “out of this world”, with a “herb garden nose” and “lashings of zesty citrus”. It sounds great to us. We’ll give it a try next time we’re on Venus. Less alcohol doesn’t have to mean less taste, as this beer from Paraparaumu craft beer brewers proves. With an emphasis on New Zealand hops, ITI APA boasts aromas of pine and grapefruit. Yummy. Mrs Best Beer HQ loves Zeffer’s Red Apple Cider, and this particular list of the best beers and ciders in New Zealand goes to show that she’s not the only one. I think I’ll stick to my beer. We Kiwis love feijoa, and apparently we love it in our cider too. Old Mout’s feijoa & cider in the 1.25L plastic bottle gets New World’s tick of approval here.